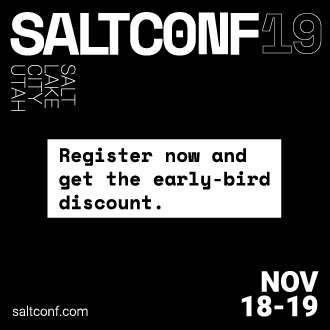 Salt comes with a powerful integration and unit test suite allowing for the fully automated run of integration and/or unit tests from a single interface. To learn the basics of how Salt's test suite works, be sure to check out the Salt's Test Suite: An Introduction tutorial. Within each of these groups, the directory structure roughly mirrors the structure of Salt's own codebase. Notice that there are directories for states, modules, runners, output, and more in each testing group. The files that are housed in the modules directory of either the unit or the integration testing factions contain respective integration or unit test files for Salt execution modules. Therefore, where possible, test files should be named to match the source files they are testing. For example, when writing tests for salt/modules/foo.py, unit tests should go into tests/unit/modules/test_foo.py, and integration tests should go into tests/integration/modules/test_foo.py. However, integration tests are organized differently from unit tests, and this may not always be plausible. In these cases, to ensure that the proper tests are run for these files, they must be mapped in tests/filename_map.yml. The filename map is used to supplement the test framework's filename matching logic. This allows one to ensure that states correspnding to an execution module are also tested when --from-filenames includes that execution module. It can also be used for those cases where the path to a test file doesn't correspond directly to the file which is being tested (e.g. the shell, spm, and ssh integration tests, among others). Both glob expressions and regular expressions are permitted in the filename map. Test modules which don't map directly to the source file they are testing (using the naming convention described above), must be added to the ignore tuple in tests/unit/test_module_names.py, in the test_module_name_source_match function. This unit test ensures that we maintain the naming convention for test files. The Integration section of Salt's test suite start up a number of Salt daemons to test functionality in a live environment. These daemons include two Salt Masters, one Syndic, and two Minions. This allows the Syndic interface to be tested and Master/Minion communication to be verified. All of the integration tests are executed as live Salt commands sent through the started daemons. Integration tests are particularly good at testing modules, states, and shell commands, among other segments of Salt's ecosystem. By utilizing the integration test daemons, integration tests are easy to write. They are also SaltStack's generally preferred method of adding new tests. The discussion in the Integration vs. Unit section of the testing tutorial is beneficial in learning why you might want to write integration tests vs. unit tests. Both testing arenas add value to Salt's test suite and you should consider adding both types of tests if possible and appropriate when contributing to Salt. Unit tests do not spin up any Salt daemons, but instead find their value in testing singular implementations of individual functions. Instead of testing against specific interactions, unit tests should be used to test a function's logic as well as any return or raises statements. Unit tests also rely heavily on mocking external resources. The discussion in the Integration vs. Unit section of the testing tutorial is useful in determining when you should consider writing unit tests instead of, or in addition to, integration tests when contributing to Salt. To be able to run integration tests which utilizes ZeroMQ transport, you also need to install additional requirements for it. Make sure you have installed the C/C++ compiler and development libraries and header files needed for your Python version. This will install the latest pycrypto and pyzmq (with bundled libzmq) Python modules required for running integration tests suite. For more specific examples of how to run various test subsections or individual tests, please see the Test Selection Options documentation or the Running Specific Tests section of the Salt's Test Suite: An Introduction tutorial. SaltStack's Jenkins server continuously runs the entire test suite, including destructive tests, on an array of various supported operating systems throughout the day. Each actively supported branch of Salt's repository runs the tests located in the respective branch's code. Each set of branch tests also includes a pylint run. These branch tests help ensure the viability of Salt code at any given point in time as pull requests are merged into branches throughout the day. In addition to branch tests, SaltStack's Jenkins server also runs tests on pull requests. These pull request tests include a smaller set of virtual machines that run on the branch tests. The pull request tests, like the branch tests, include a pylint test as well. When a pull request is submitted to Salt's repository on GitHub, the suite of pull request tests are started by Jenkins. These tests are used to gauge the pull request's viability to merge into Salt's codebase. If these initial tests pass, the pull request can then merged into the Salt branch by one of Salt's core developers, pending their discretion. If the initial tests fail, core developers may request changes to the pull request. If the failure is unrelated to the changes in question, core developers may merge the pull request despite the initial failure. As soon as the pull request is merged, the changes will be added to the next branch test run on Jenkins. For a full list of currently running test environments, go to http://jenkins.saltstack.com. Which branch of the Salt codebase should new tests be written against? The location of where new tests should be submitted depends largely on the reason you're writing the tests. If you are adding new functionality to Salt, please write the tests for this new feature in the same pull request as the new feature. New features should always be submitted to the develop branch. If you have already submitted the new feature, but did not write tests in the original pull request that has already been merged, please feel free to submit a new pull request containing tests. If the feature was recently added to Salt's develop branch, then the tests should be added there as well. However, if the feature was added to develop some time ago and is already present in one or more release branches, please refer to the Tests for Entire Files or Functions section below for more details about where to submit tests for functions or files that do not already have tests. If you are writing tests for code that fixes a bug in Salt, please write the test in the same pull request as the bugfix. If you're unsure of where to submit your bugfix and accompanying test, please review the Which Salt Branch? documentation in Salt's Contributing guide. Sometimes entire files in Salt are completely untested. If you are writing tests for a file that doesn't have any tests written for it, write your test against the earliest supported release branch that contains the file or function you're testing. Once your tests are submitted in a pull request and is merged into the branch in question, the tests you wrote will be merged-forward by SaltStack core engineers and the new tests will propagate to the newer release branches. That way the tests you wrote will apply to all current and relevant release branches, and not just the develop branch, for example. This methodology will help protect against regressions on older files in Salt's codebase. There may be times when the tests you write against an older branch fail in the merge-forward process because functionality has changed in newer release branches. In these cases, a Salt core developer may reach out to you for advice on the tests in question if the path forward is unclear. If tests are written against a file in an older release branch and then merged forward, there may be new functionality in the file that is present in the new release branch that is untested.It would be wise to see if new functionality could use additional testing once the test file has propagated to newer release branches. Several Salt-specific helpers are available. A full list is available by inspecting functions exported in tests.support.helpers . @expensiveTest -- Designates a test which typically requires a relatively costly external resource, like a cloud virtual machine. This decorator is not normally used by developers outside of the Salt core team. @destructiveTest -- Marks a test as potentially destructive. It will not be run by the test runner unless the -run-destructive test is expressly passed. @requires_network -- Requires a network connection for the test to operate successfully. If a network connection is not detected, the test will not run. @requires_salt_modules -- Requires all the modules in a list of modules in order for the test to be executed. Otherwise, the test is skipped. @requires_system_grains -- Loads and passes the grains on the system as an keyword argument to the test function with the name grains . @skip_if_binaries_missing(['list', 'of', 'binaries']) -- If called from inside a test, the test will be skipped if the binaries are not all present on the system. @skip_if_not_root -- If the test is not executed as root, it will be skipped. @with_system_user -- Creates and optionally destroys a system user within a test case. See implementation details in tests.support.helpers for details. @with_system_group -- Creates and optionally destroys a system group within a test case. See implementation details in tests.support.helpers for details. @with_system_user_and_group -- Creates and optionally destroys a system user and group within a test case. See implementation details in tests.support.helpers for details.